+ When can I begin the scholarship application? The sholarship application submission begin date varies. Typically, our Florida A&M University scholarship applications open late August of each year. + When is the deadline for the scholarship application? The sholarship application submission begin date varies. Typically, our Florida A&M University scholarship applications close two weeks prior to the university's Homecoming Celebration. + Who is eligible to apply for scholarships? Our scholarship requirements vary based on the scholarship donor's desired specfications. For example, a scholarship donor may create a scholarship specifically for students in the College of Education with a 2.5 or higher GPA. + May young women apply for Manhood On The Go scholarships? Typically, our scholarship opportunities are for young men. + Does my scholarship award have to go to a Florida A&M University student? No. Your scholarship is awarded to the student that you believe is best to receive it. + How is the scholarship award given to the student? 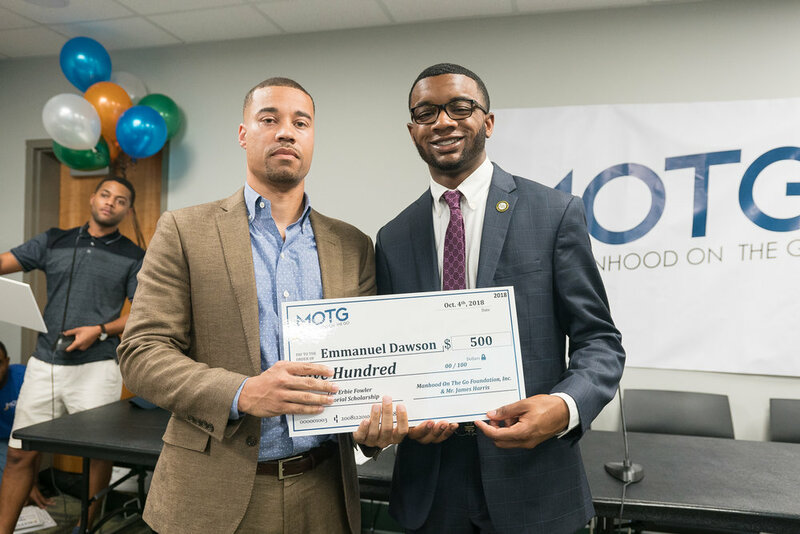 + How many scholarships has the MOTG scholarship fund awarded so far? Since our inception in 2017, our foundation has awarded over 30 scholarships to deserving young scholars. These students have primarily been males whol attend Florida A&M University. + Is my scholarship donation tax-deductible? A SPECIAL THANKS TO each of OUR MOTG SCHOLARSHIP FUND DONORS!